The thought of flags flying above a beach on sunny summers day warning people to stay out of the water may sound like a premise from a 1970’s shark based movie, but the reality maybe closer than you would like to think. If bathing beaches are rated as poor under the new European revised Bathing Water Directive (Rbwd) these flags may become a more regular scene. 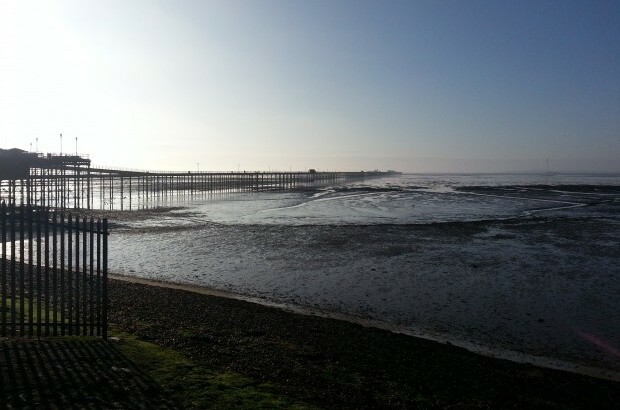 In response to this the Environment Agency, Thames Estuary Partnership (TEP), Southend Borough Council (SBC) and Anglian Water (AW) have been working together to improve bathing water quality at Southend. Improving bathing water quality is a task too complex for any single organisation to successfully tackle alone. Working across two Environment Agency areas, with three other project partners and engaging with many more local groups was also a challenge. This project was developed to not only improve the quality of the bathing waters but to leave a legacy in the area for local community groups and residents to understand their impacts on their local environment. Through building networks with local groups including: sea swimming clubs, angling groups, Essex Wildlife Trust and Southend Association of Volunteer Services (SAVS) this legacy has now got a place to start. Southend beach, where bathing water quality has been boosted by an Environment Agency project. 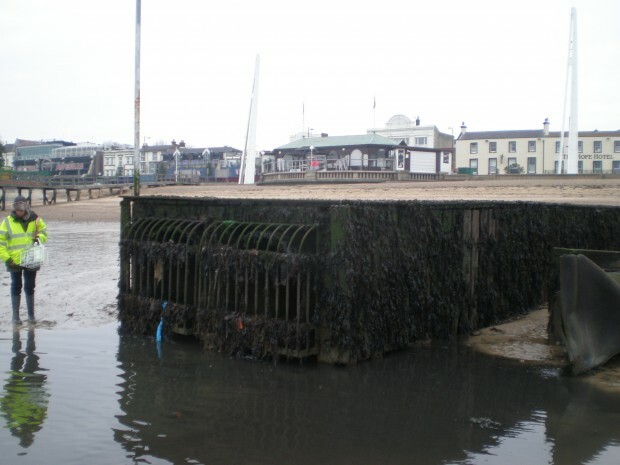 Clean Seas Please is a concept first devised in the Hastings area and will now be rolled out in Southend. The aim is to engage local groups to help them understand how what you put down your sink or toilet or leave behind you from a day at the beach could be detrimental to the local environment. Clean Seas Please will also be working with Anglian Water’s “Keep it Clear” campaign at a number of events in Southend throughout the summer. 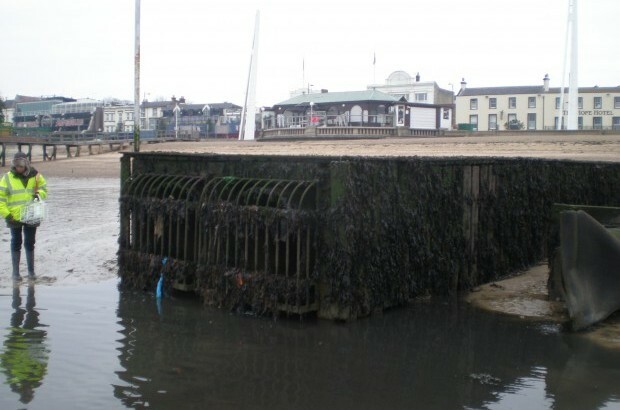 Work was undertaken to sample to surface water drainage system responsible for carrying diffuse pollution out into the eight bathing waters across the town. From this sampling it was possible to identify sewers with signs of misconnections and other sources of pollution and trace this back up the catchment. Over 130 misconnections were found and rectified during the project which helped take tens of thousands of litres of polluting water away from the coast and back into the correct drainage system. Tourism plays a massive part to the Southend economy. Take a stroll along the world’s longest pleasure pier, visit the U.K’s first green museum or as the majority of visitors do, put on the sun cream and just enjoy the great British seaside. If the beaches and their waters are perceived as unhealthy then the town will suffer financially. Water sampling taking place in Southend. 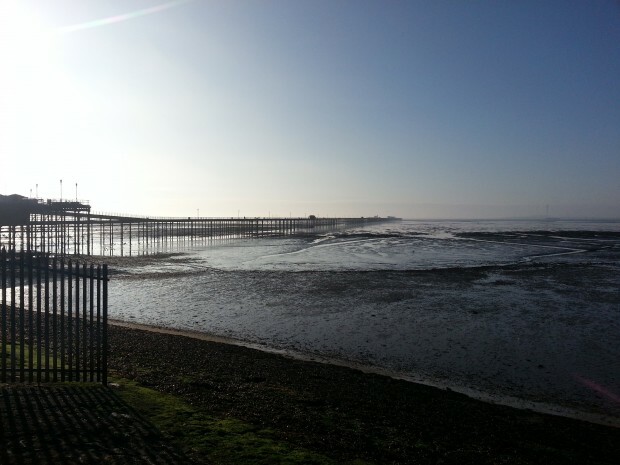 Despite the project having successes along the way there is still much to do to ensure that all of the bathing waters in Southend measure up to the new stricter Revised bathing water directive when it comes into force in 2015. As a minimum all beaches will need to reach the new “sufficient” status by the end of next year. Work will continue to monitor the surface water and provide information to residents and tourists about how to improve their local beaches and seas. So if you are looking for a day out by the beach this summer, head to Southend and say yes please to cleaner seas. Matt Higginson is an environment officer for the Environment Agency and has been working in partnership with Clean Seas Please. For more information project visit their website.